A friend at the range was talking about the TSR today. I checked it out online. Looks like a good practice and varmint gun. Anyone have any experience with one? Found one at a local gun shop today. I love the hogue stock and the balance of the gun. Needless to say I picked it up. I'll give some feedback after I get a chance to visit the range with it. I've got some loads that should go thru it well. One of the few FNs I have not had hands-on. Let me know how it works for ya, will you? Thanks! Everything I've heard about their bolt-actions are top-notch comments. what does something like that go for? A bolt .223 would be a GREAT SHTF gun! I got it for 970.00. Havn't had a chance to shoot it yet but it sure shoulders nice. I mounted a revenge varmint range finding scope on it. If all goes well I can put a few rounds down range this weekend. The TSR has the smoothest bolt I have ever felt. Took it to the range today and the only word I can think of is amazing. Accuracy and function was flawless. I can't get over how it feels shouldered. This is going to make a great varmint and practice rifle. blueorison wrote: One of the few FNs I have not had hands-on. I would have to agree with the top notch assesment. Cwc wrote: The TSR has the smoothest bolt I have ever felt. Never felt a custom bolt then I guess . But it is a nice gun. My buddy has one. It shoots well under .75 MOA. We even got some handloads under .5 MOA out to 400 yards consistently in 5 round consecutive groupings. My only problem is that a comparable shooting Savage will shoot just as well, for $300 less. But it won't feel as nice, that is for sure. Never had the opportunity to shoot a custom bolt. 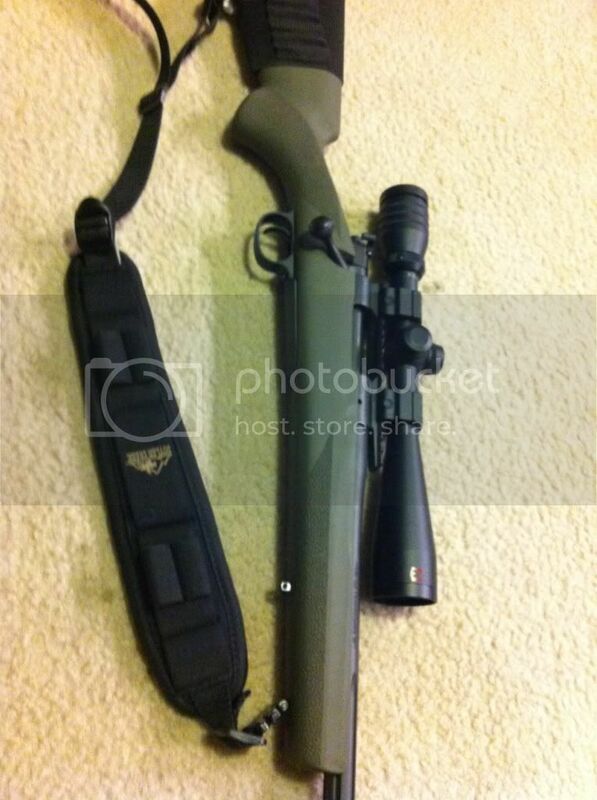 I have a savage in .243 that shoots well but it doesn't feel anywhere as comfortable as this one to shoot. Yeah, the feel of savages aren't great out of box, but that can be fixed with a 190 buck stock that feels exactly like your TSR. I guess I am just partial to FNH at this point. I would prefer an FNH-built rifle and bbl versus Savage. blueorison wrote: I would prefer an FNH-built rifle and bbl versus Savage. Barrel is likely made by same group of manufacturers. Savage action is way more full proof, more forgiving to larger selection of loadings. QC on build are identical, Savage may be better given FNHs track record with other guns. Accuracy same, feel worse, price WAY less. There really is only one reason to have the FNH, which is you just are partial to the company. Which is perfectly fine. Cwc wrote: I guess I am just partial to FNH at this point. Which is fine. Many people are. I would never buy a browning bolt gun, but they are very popular to hunters. At least FNH was smart to just use a trued Mod 70 action. I was merely offering another perspective. I have a friend who swears by his Browning A Bolt. To each his own. The best gun is always one you like and feel comfortable with. I'm not a Browning fan myself either. You bring up good points. I am not partial to FNH USA. They have 100% screwed up great things about their company, as most mfg's have, at some point. I was speaking mainly off the tongue; I do not have shooting experience with the TSR, so I can't really speak on the matter. I have shot many Savages. Those who have seen you with the long hair would call you a Savage!